The February First Thursday launches the year by bringing together artists who envision spaces of potential, transformation and audacity. As we look around the world and question what is to come, the artists featured in February are shaping our future with strong voices that bring culture to its feet. Our headliner is the Toronto-based singer-songwriter, artist and force Lido Pimienta. Performing highlights from her new album La Papessa, Lido is making her headlining debut at the AGO with a full-scale theatrical performance in Walker Court, performing a narrative that will inaugurate the space her magic. Additional sounds will be provided by DJ DurtyDabz in Walker Court, and DJ Ace Dillinger in Galleria Italia. The night features artist projects by dancer-choreographer Ellen Furey, whose uncany, avant-garde approach to movement and the body challenges traditional forms, and music producer and performer SlowPitchSound with collaborator Libydo, whose project Rabbit Hole aims to seduce and confuse our experience of space and bodes. Plus, yet-to-be-announced pop-up talks with artists and thinkers, a special collection of artwork on display in our monthly Out of the Vaults installation, hands on art making, an artist-designed program edition, and delicious food and drinks. 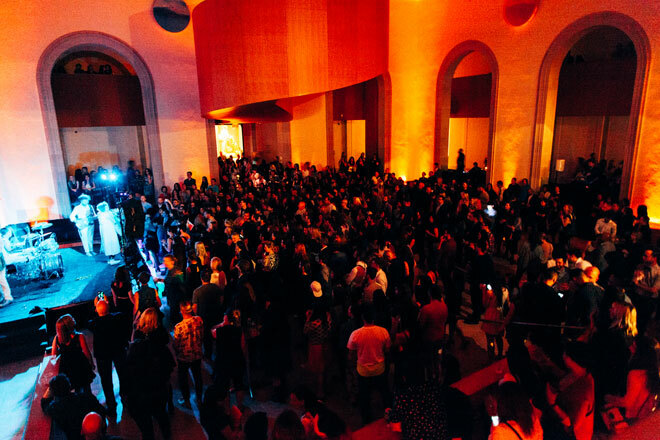 Come and celebrate the first First Thursday of 2017 at the AGO.